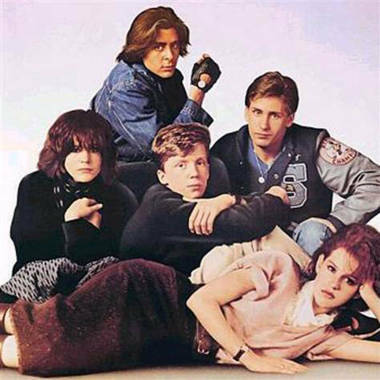 The stars of classic teen angst tale "The Breakfast Club," from left, Ally Sheedy, Judd Nelson, Anthony Michael Hall, Emilio Estevez and Molly Ringwald. If the newly dedicated George W. Bush Presidential Library and Museum isn't on your list of must-see sites this summer, let us offer another way to spend some time in a library. Go watch "The Breakfast Club" again. Instead of Dallas, you'll be in Shermer, Ill., for the 1985 film about five high school troublemakers spending a Saturday in detention. And while ex-President Bush was certainly known for any number of one-liners over the course of his eight years in office, we're more suited to looking back on our favorites from the brain, the beauty, the jock, the rebel, and the recluse. Here's to hoping no screws just fall out of any doors at the Bush Library (it happens all the time, the world's an imperfect place). If you're a fan of "The Breakfast Club," share your favorite scenes and lines over on our Facebook page.